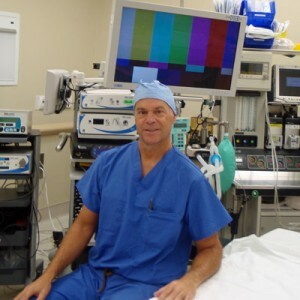 Sinus Surgery - David J. Hoyt, M.D. Recurrent sinus infections, a lingering infection which will not clear with antibiotics and nasal masses are all potential indications for sinus surgery. There are many approaches to open blocked sinuses. Office based procedures such as balloon sinuplasty offer a minimally invasive approach to alleviating sinus discomfort. It can be accomplished with topical anesthesia in an office setting and with minimal recovery time. Endoscopic approaches are also performed as an outpatient, but they frequently require sedation or a general anesthetic. While a limited amount of work can be performed in the immediate post-operative period, usually a week is required for recovery. Finally external approaches to the sinuses (incisions through the facial skin) may be required for severe infections or in patients who’s symptoms have not responded to previous surgeries. Dr. Hoyt has experience in each of these techniques and he can suggest an individual treatment plan based on each patient’s history and state of disease. If you feel sinus surgery may be the best option to provide relief from your symptoms, please consult with your doctor or request an appointment to consult with Dr. Hoyt.